As of Wednesday, the company has been issued 48 permits for driverless vehicles, according to records at California's Department of Motor Vehicles. About a month earlier, on May 15, Google held just 23 permits. The additional 25 permits are for a new fleet of prototype cars that are undergoing testing on private roads, the company said. The cars, tiny two-seaters, are designed for neighborhood driving and have a top speed of 25 miles per hour. They'll be hitting public streets some time over the summer near Google's headquarters in Mountain View. Including two new permits issued to Mercedes-Benz, California's driverless car fleet has hit 77 vehicles. The six reports issued on Thursday cover one accident involving a car operated by Delphi Automotive and five involving cars operated by Google. Four of the five Google incidents had already been self-disclosed by Google earlier this month when it issued the first of what it says will be monthly reports on incidents. The fifth occurred in June, after the period of Google's report. That was underlined by Google Co-founder Sergey Brin who spoke about the issue at the company's recent shareholder meeting. 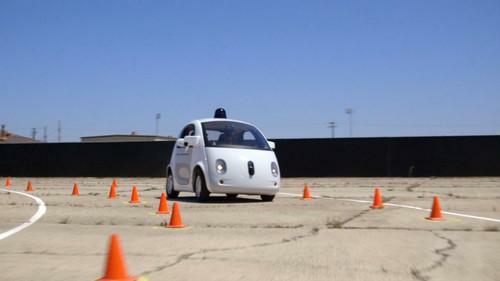 "I'm very proud of the record of our cars," Brin said. "We don't claim cars are going to be perfect. Our goal is to beat human drivers, and nothing can be a perfect vehicle."